Mindfulness is a method and technique of of being fully aware and in the moment in a way that allows you to accept things around you, instead of allowing those things to be disruptive in your life. It is a technique that provides many benefits to your daily life, including your creative endeavors. Mindfulness allows you to clear your mind of issues and clutter and to be accepting of yourself. It allows for a healthier life, reduction of stress, and improves your well-being. 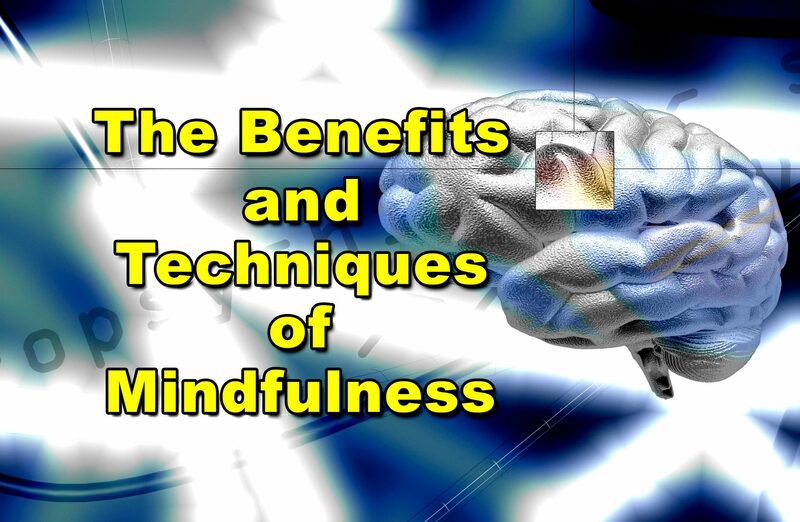 The Mindful techniques (and there are several) are a good way to gain a greater sense of well-being. Who can’t use that? It also helps you improve your physical health. It is proven to lower blood pressure, slow your heart rate, improve your sleep, and relieve stress. Mindfulness is almost like a meditation, of sorts. It consists of mostly breathing techniques and practices of relaxing your mind and body. If practiced regularly, these techniques will help you reduce your stress. When the stress is effectively managed, your creativity increases and your productivity grows as well. There are two breathing techniques I have used. Each begins in a comfortable chair. You should be in a seated position, with correct posture and positioning in order for it to have the most benefit. Sit in a chair, sitting straight up with your feet flat on the floor (not folded or crossed), back straight, and arms comfortable in your lap (not folded or crossed). This is the correct position for each of the two techniques described here. The first technique, called 2-to-1 Breathing, is a method of breathing where you inhale through your nose, concentrating on diaphragmatic breathing (breathing with your diaphragm – pushing your stomach out) to get a full breath. Then exhale through your mouth and control that exhale to take twice as long as you inhaled. To give you an example, what works well for me is to slowly inhale (through my nose) for 4-seconds (to get a nice big breath). Then to slowly exhale (controlled, through my mouth) for 8 seconds. Continue doing these breathing rotations for about 5 minutes. The second technique is called Box Breathing and is actually what the Navy Seals use for reducing stress and remaining calm. Again, in a comfortable chair with proper posture and positioning is best. Then inhale for 4 seconds. Hold the air in your lungs for 4 seconds. Then exhale for 4 seconds – being sure to empty all of the air in your lungs. Hold your lungs empty for 4 seconds. 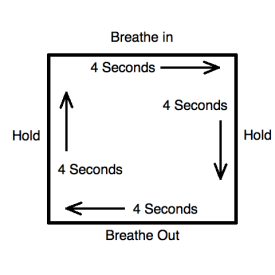 This is why it is called box breathing – because of the 4 seconds of each of the 4 parts. Repeat this box breathing for 5 minutes (which my my calculations would be about 18 complete cycles of the box). With each of these techniques, you should begin to feel refocused and relaxed. Practicing these mindfulness techniques once each day, 5 days a week, should improve your overall sense of well-being and health. That in turn will make you more productive, increase your creative flow, and make you feel invigorated and in control of your body and mind. This allows you to go about your day being mindful along the way. I hope it is a useful technique for you. I would love to hear from you! Feel free to drop me a line at Mike@mikesvo.com. Thank you!